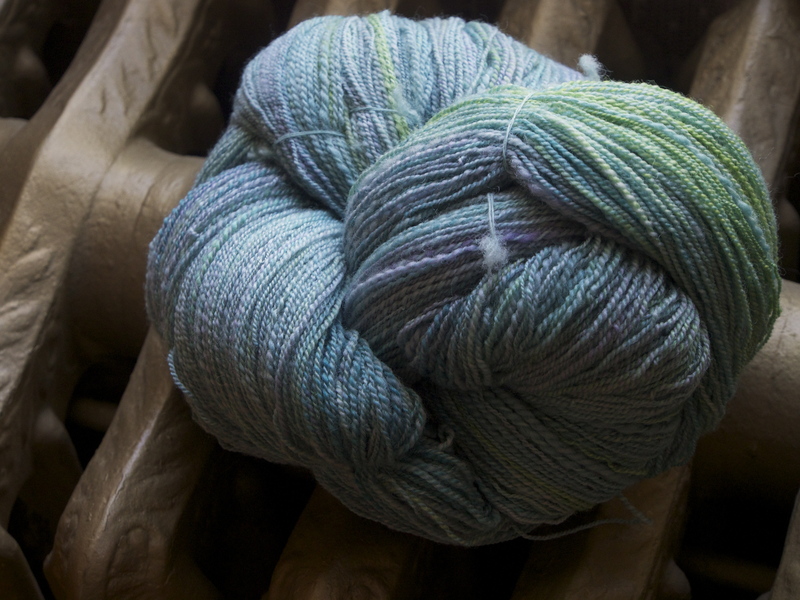 This fiber was from Spunky Electric, a part of the CTA spin-along on Ravelry this past spring. Unfortunately, I did not finish this during the designated timeframe, but it was part of my recent bobbin clearing mania, and I am slowly catching up. The inspiration was a glacier photo, and this really captured the nuances of the colors well. 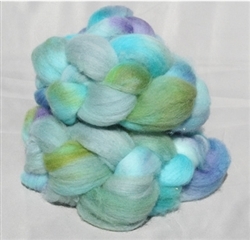 The fiber is Falkland, this is the first time that I have spun this fiber and did not really know what it was. The term, Falkland wool, refers to wool grown only on the Falkland Islands and not in any other location. The wool clip from these islands is a very good white and is grown from Merino and Polwarth breeds. The majority of the wool produced emanates from the Polwarth. Fineness ranges from 18/19microns to 32/33microns with the bulk of the wool being in the 27- 30microns category. The length is 80-100mm with the fleece showing good bulkiness and soft handle. 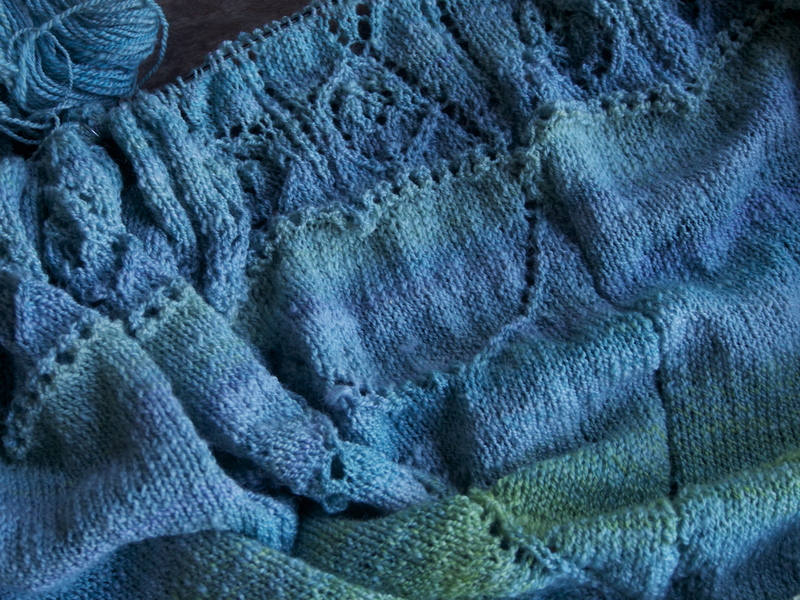 In some ways, and for certain applications, it can be considered better than Australian grown wool, especially for knitting yarn, where good bulk is required. Love the colors, very pretty whatever it is. Those colors are absolutely gorgeous!